One of the simple tricks that I love that allows me to get more stuff “done” is to start with a premade item and then embellish or change it up. 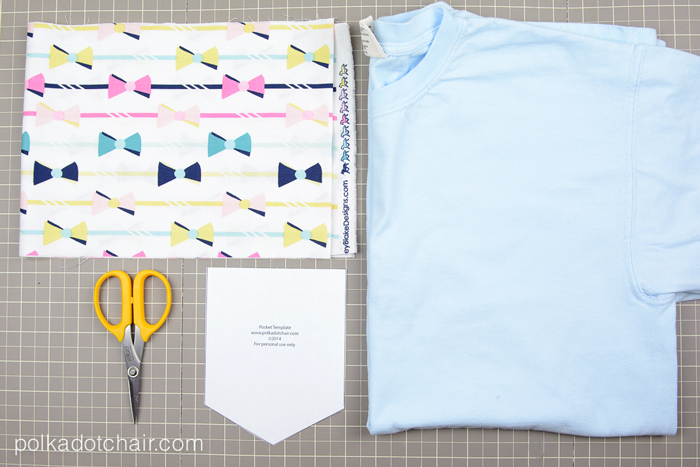 Today, for Ten Minute Tuesday, I’m going to show you how to embellish a simple t-shirt with a bit of sewing and applique. I’ve used the “trick” of altering an existing item before, in my lace trimmed t-shirt project, the dress made from two t-shirts and the tote bag I posted yesterday. 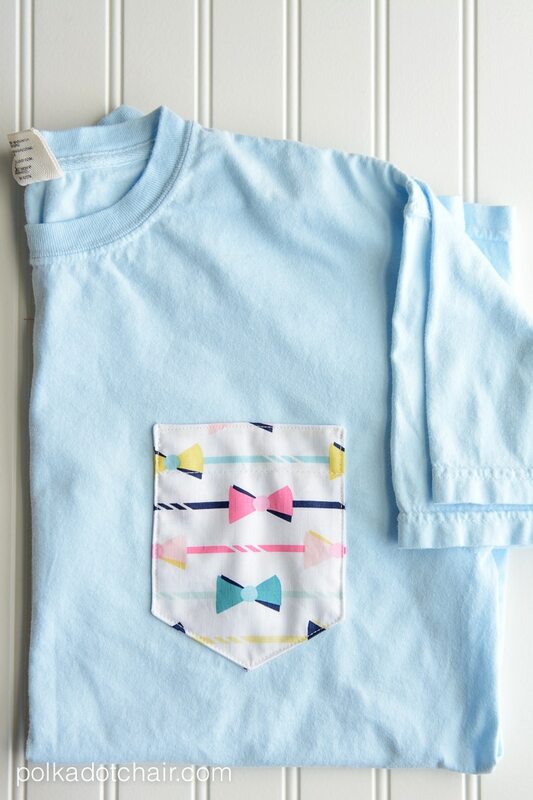 Last summer my daughter wanted me t-shirts with pockets… She just kept saying “mom, I want a pocket tee”.. I had no idea what she was talking about then she showed one to me at a store and thought “I could totally make that”! So last summer we made her one. I knew that as soon as my Derby Style fabric showed up that I’d want to make another one. 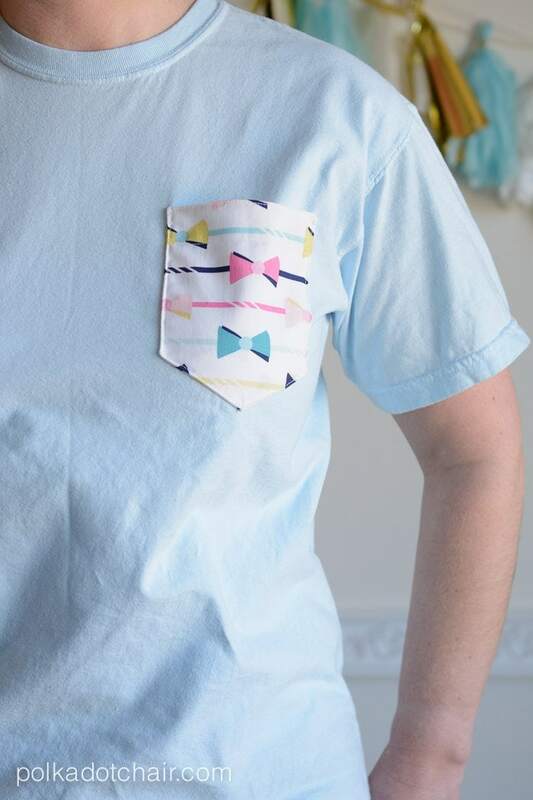 Those little bow ties seemed perfectly suited for a pocket. 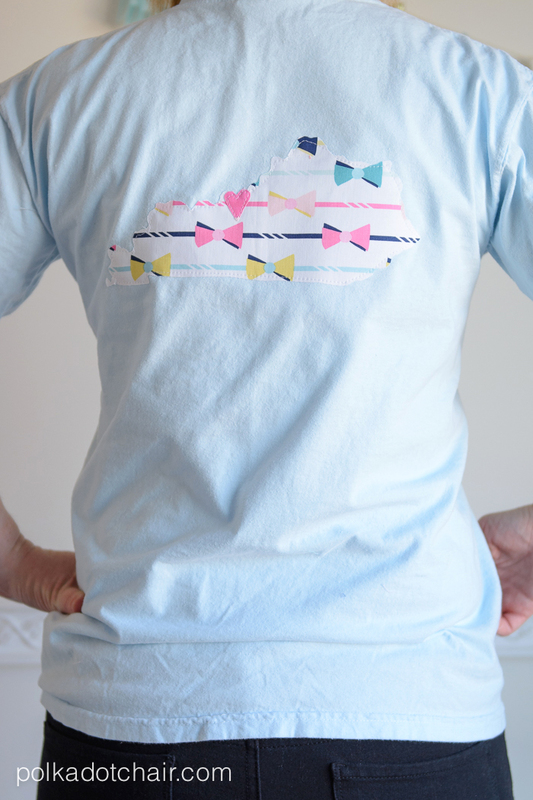 This t-shirt project is actually two projects in one. You could easily just complete the front or the back of the t-shirt depending on what you like. 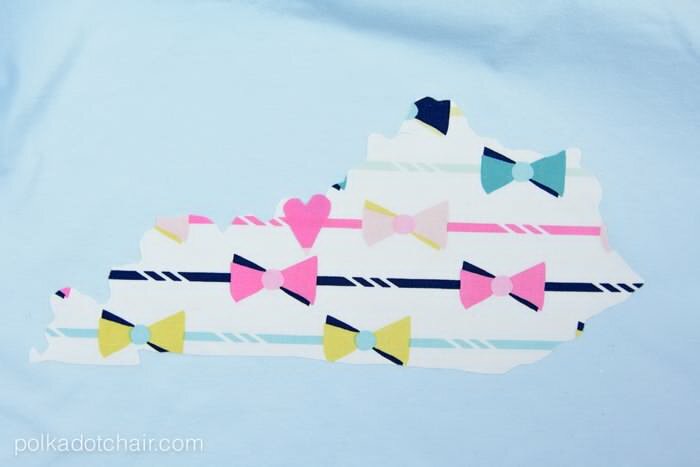 I chose to do both, since the fabric was inspired by the Kentucky Derby it only seemed natural to make a shirt with a silhouette of our great state on the back. – A t-shirt that has been washed and dried (I like to use Comfort Colors tees, they are super soft, nice and heavy and come in great colors, you can pick them up on Amazon). 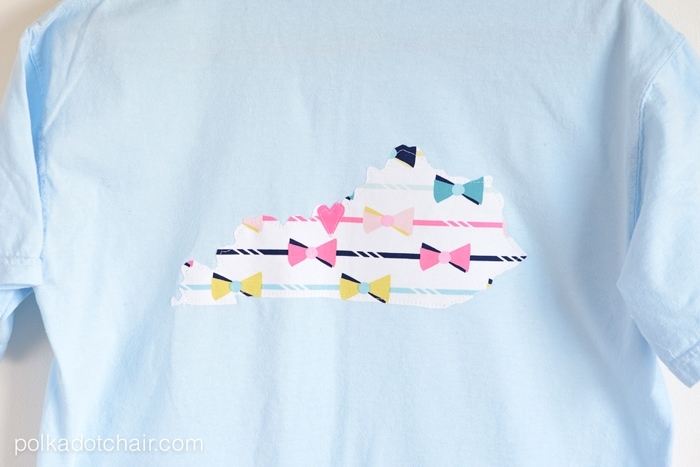 -Print out of the State that you want on the back, printed as a mirror image. 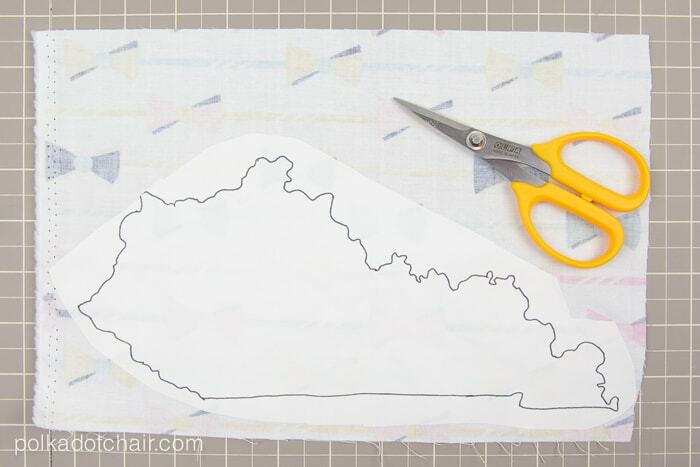 Start by tracing the silhouette of the State onto the paper side of the Heat N Bond Lite. 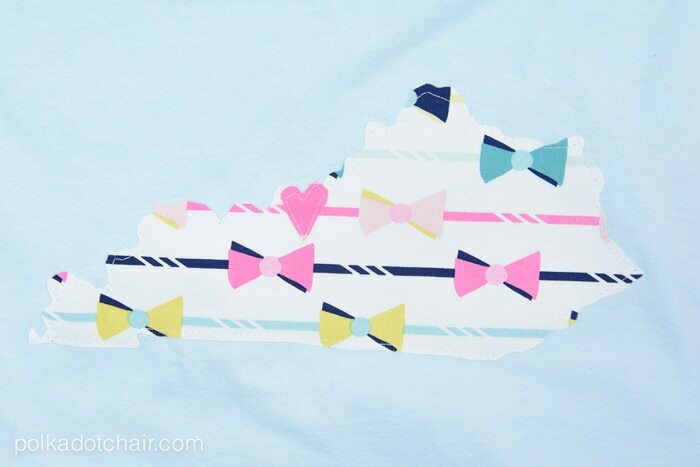 Then loosely cut out the shape and iron onto the wrong side of the Derby Style Bow tie fabric. Cut out the shape precisely. Draw a heart onto the paper side of a piece of Heat N Bond lite. Cut out and iron onto pink piece of fabric. Cut out the heart. Peel the paper backing off of the shapes and press onto the back of the t-shirt in the desired location. Make sure that it’s straight. 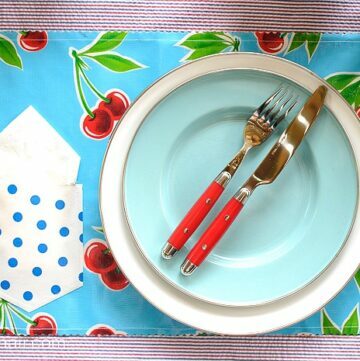 Draw a line with fabric ink if you need to. Using a simple straight stitch on your sewing machine, stitch around the outline of the heart and the shape of the state. 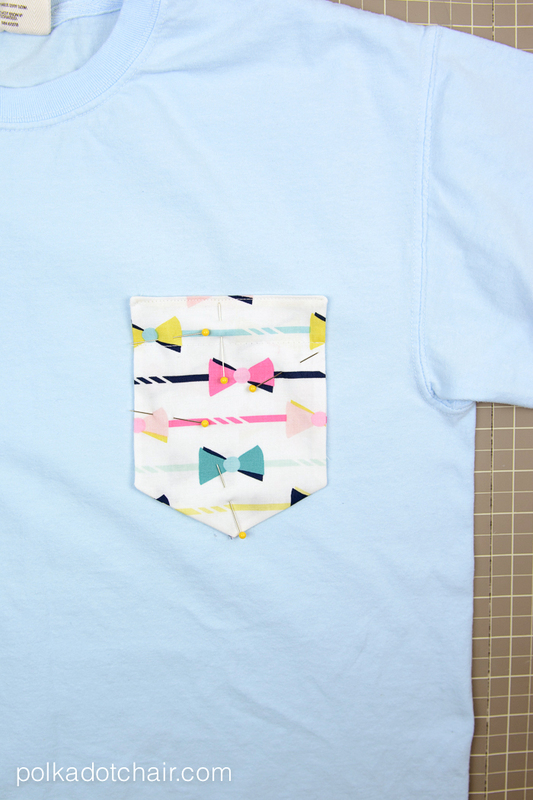 Cut out 2 pocket pieces from the bow tie print fabric. 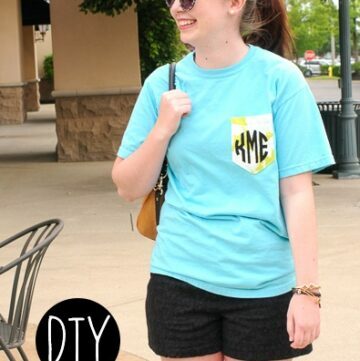 To assemble the pocket and attach it to the t-shirt use the instructions on this “How to make a Pocket Tee” post from last summer. 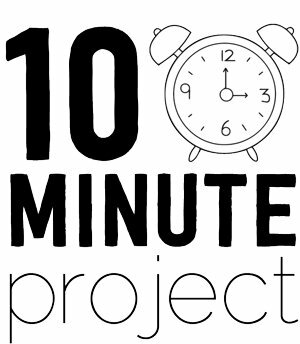 That’s it, you’re done… and in hopefully just 10 minutes!!! I hope that you are enjoying these 10 minute Tuesday posts. 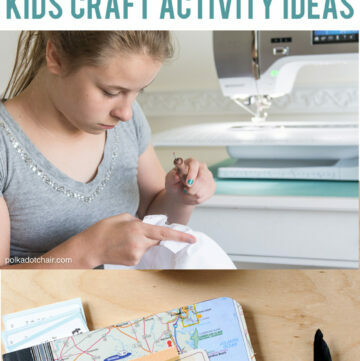 I’m really enjoying the challenge of coming up with simple but cute projects that you can complete quickly…. 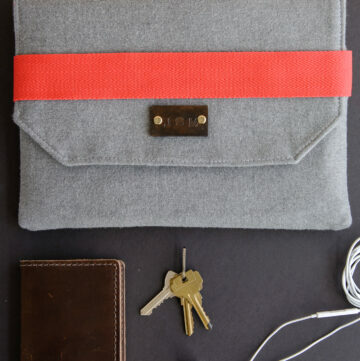 and.. we all know there’s nothing quite like the satisfaction of a FINISHED project.